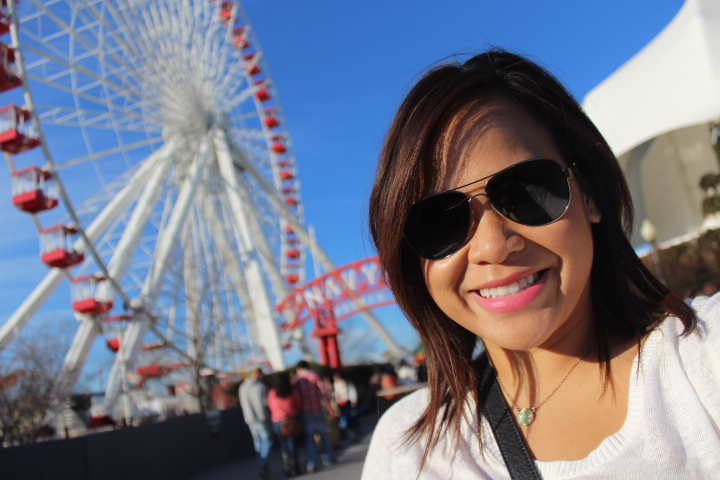 The sunny weather last Sunday lured me out of my lonely hostel room to the colorful grounds of Navy Pier. I had so much studying and work to do, but I don’t regret that I dedicated some off time to enjoy the weather and explore this much talked about place. These trees with their lovely yellow leaves definitely held my attention for awhile. 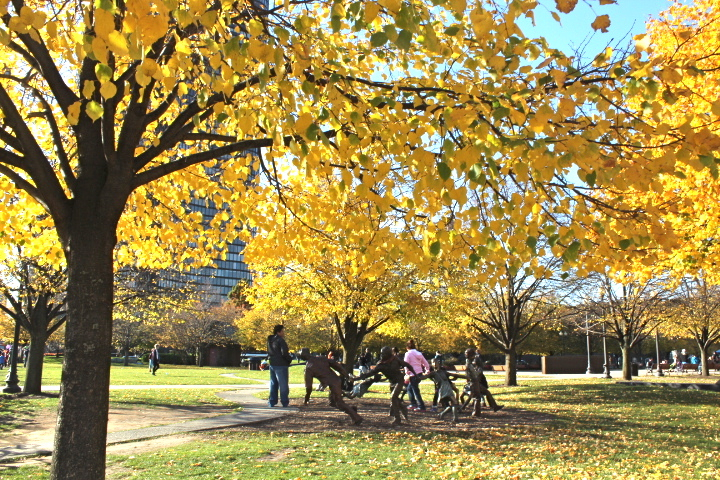 I walked slowly stopping to breathe in the crisp autumn air, taking in the sights, and people watch. 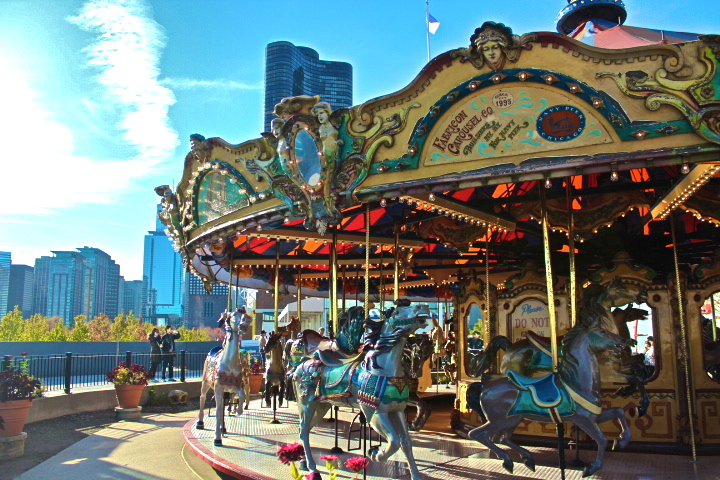 Since the weather is cooling down and there’s not too much going on in Chicago around this time of year, the entrance of Navy Pier was quaint and serene. I can’t remember the last time I’ve been on an carousel. It’s probably been over 10 years, but there’s always this nostalgia that washes over me when I’m near one. Maybe it’s the childhood pictures I’ve flipped through of either my brother or me riding the plastic bouncey-horsey thing outside K-mart or wherever it was that my family used to shop. Now that I think about it…I’m not even sure if my family ever took us on a real carousel ride. Maybe I’ve mistaken nostalgia for an intense yearning to be a kid again. Right after I took this picture, I immediately thought to myself…this reminds me so much of the San Francisco photo I took back in January as we were on board a boat towards Alcatraz. Weird comparison I know….but I have a habit of always comparing where I’ve gone to where I am and where I’m going. Similar or not, these type of views never get old. I managed to climb my short stubby self onto the high edge of a concrete block to capture this one. I don’t even know where I was when I took this shot. Sometimes, I’ll just stop mid-stride to capture a sight like this. I couldn’t spot any stars as I looked up at the black sky but on this late Sunday night, but that didn’t stop me from looking up and around at the all the lights that surrounded me. I guess you could say that I am always looking for the light…the stars…forever looking for that one thing or things that will help ignite my fire and light up my world. 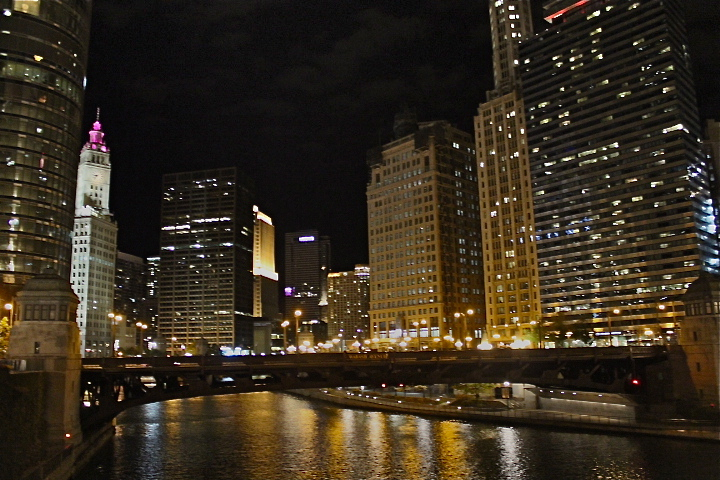 Half way through my Chicago adventure, more to come! Stay tuned! This entry was posted in TRAVEL, Travels and tagged Adventure, Autumn, Chicago, Chinatown, Fall, Illinois, NavyPier, Photography, Travel. Bookmark the permalink. I am glad you are enjoying yourselves. I love all the pictures and the writting. It makes feel like I was there. Have fun and be safe!